A variety of circular walks, passing by low cliffs and extensive sandy beaches and dunes. It has recently been extended from Cromer to Hopton-on-Sea and is now 84 miles long. A 22-mile walk discovering the Medieval churches between Cromer and North Walsham. Running for 46 miles from the Brecks to the North Norfolk coast near Hunstanton. It follows the route of a Roman road, through some fantastic scenery. This 61-mile route goes from Cromer to Great Yarmouth, passing through a diverse landscape of woodland, farmland, historic country estates, rivers and lakes. Following the route of two disused railway lines and running between Norwich and Aylsham, this is a 26-mile footpath, bridleway and cycle route. 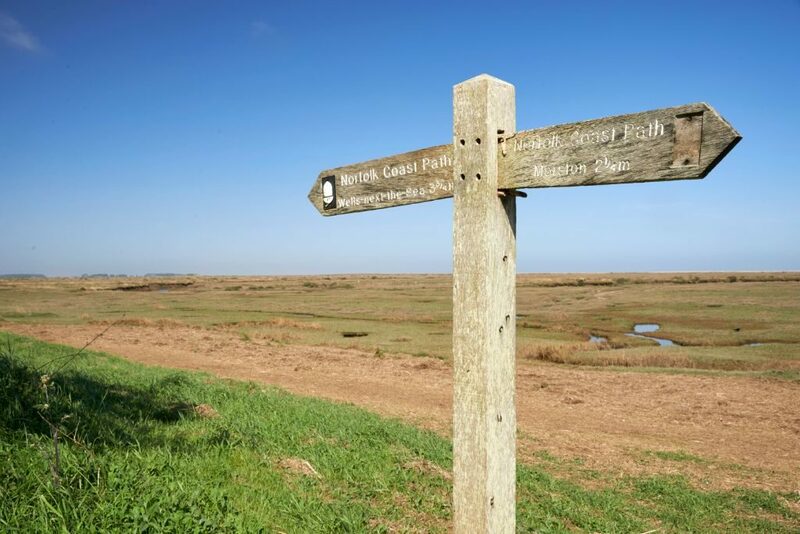 There are associated circular walks along each of these long distance trails, including the new section of coast path.